Since its debut a few years ago, Kanye West‘s YEEZY Season fashions shows are part-celebrity extravaganza, global listening session and — at times — part three-ring circus. While there has been many notable moments — West debuting The Life Of Pablo during his YEEZY Season 3 presentation at Madison Square Garden and “Wolves” at the Season 1 presentation — he’s been the subject of criticism as well, even having to reschedule his Season 5 presentation after the Council of Fashion Designers of America (CFDA) decried his “disruptive” and “unfair” timing of the event. 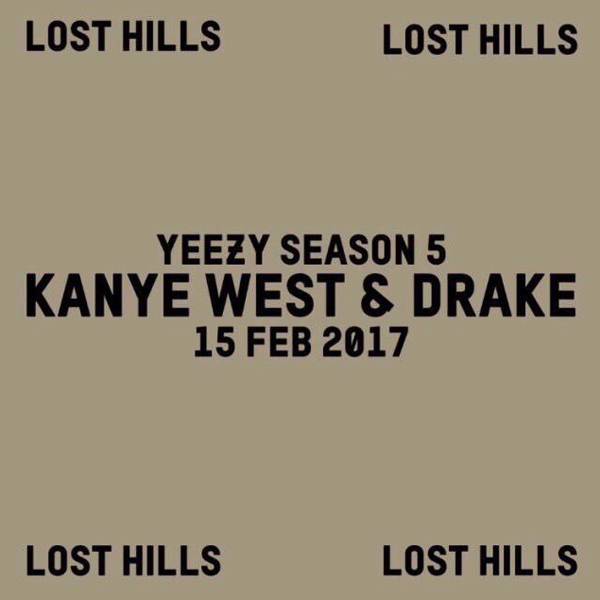 As it’s been long rumored that Drake and Kanye have been working on a collaborative project for months now, and given the past history of debuting new music at the show it could be possible that those rumors come to fruition during the show. The DopeHouse will update things as they progress. UPDATE: The show… went off without a hitch. There was no grandiose spectacle, no new music, no Drake anything, and even Kanye West remained backstage throughout the entire show. However, attendees were treated to what some critics are calling one of his better lines yet, blending “Americana” sensibilities with his own influential essence.